Bordeaux-USA │ Franco-American Club with US Library │ Since 1969: Thursday 15th: Sichuan Cuisine and Other Savory Aspects of L.A.
Thursday 15th: Sichuan Cuisine and Other Savory Aspects of L.A.
Thursday, some students from the Centre de Californie will talk about the daily life in L.A. they will make us discover the Chinese food which has been popular in L.A. for a while now, more specifically the Sichuan cuisine. "It’s no secret that Sichuan cuisine has been gaining in popularity not only in East Asia, but across the United States. 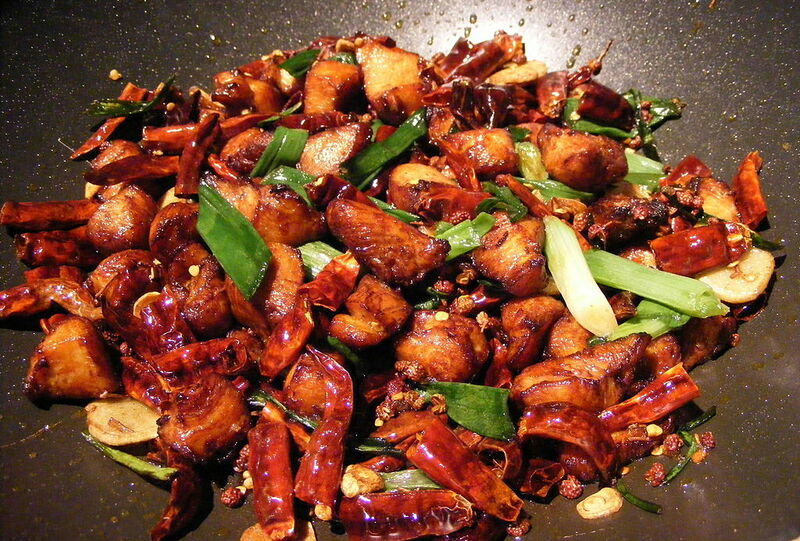 Even for those who haven’t encountered authentic Sichuan food, a passing familiarity with Chinese menus will offer, at one point or another, exposure to a dish at least derived from the cuisine of Sichuan province. Kung Pao Chicken, a mainstay of westernized Chinese cuisine and Panda Express menus everywhere, originated there relatively recently in the 19th century."